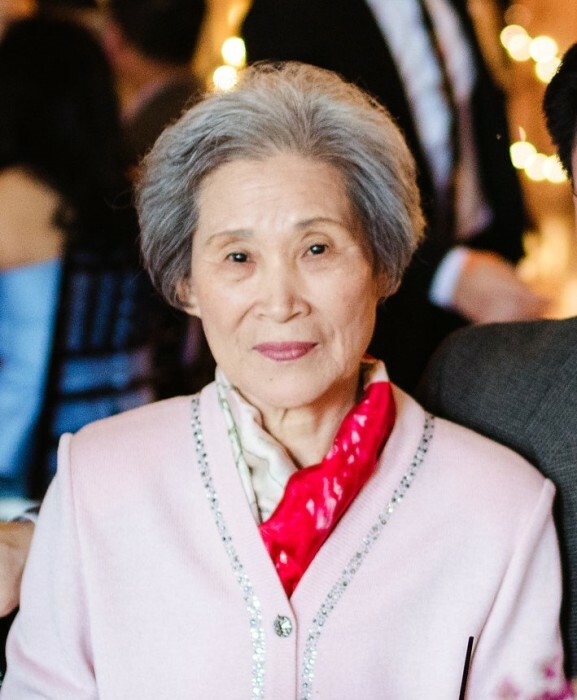 Bok Ja Lee, 78, of Streamwood, IL passed away Tuesday morning, December 4, 2018. She was born August 28, 1940 in South Korea and immigrated to the US in 1978, settling in Rockford, IL with her husband and two sons. She was a machine operator at Warner Lambert for over 20 years, a deacon at the Rockford Korean Presbyterian Church, and a fantastic cook. She is survived by son, Mark (Grace); granddaughter, Megan; son, David; and granddaughters, Annette and Alyssa and their mother, SoYoung. Predeceased by husband, Kwang Joo Lee. Funeral service will be at 11:30am with a visitation from 10:00am until the service on Monday, December 10, 2018 in Honquest Family Funeral Home with Crematory, 4311 N. Mulford Road, Loves Park. Burial in Scandinavian Cemetery, 1700 Rural Street, Rockford.